Back to Doomben and a whole different ball game than the last few weeks. Showers and rail TRUE. Been probably the best 5 weeks of punting in the 8yrs the site has been going so hopefully back to my favourite track we can keep the run going!. **Not a lot of value found this week but don’t mind the card** UPDATE- Bit more rain than expected and confidence has dropped a bit. It is not a coincidence that our good run has been with a long run of dry weather. GUNTANTES and BIGBOYROY look the obvious two. Really liked the run of BIGBOYROY on debut over the 1000m at EF, he was strong late so the 1200m will suit, Fradd sticks and a good gate is ideal. If GUNTANTES jumps with the blinkers first time they should be leading. Reckon he’s a handy one and the run last week in a hot race was very good after being wide the trip. If they do find the front he can be very hard to catch. Not a lot between them. He was a late nomination last week so they might have used that as an unofficial barrier trial, he was ridden a bit that way which means this is probably more a target race than last week. Maybe just a very slight edge to GUNTANTES at the prices. RECKLESS CHOICE is the best horse in the race but that doesn’t always mean they win around Doomben, he will get back from gate 1 and need a lot of luck to reel them in. If they happen to over cook the speed he will be best late. READY SET BOOM has made the blackbook, she will roll along up front and give a good kick, can’t help but feel they could have found a better race than this to carry 54kg against a few handy older males. I’ve never been a big SAXTON ROCK fan but feel he is going pretty good this prep, last start he got a very cheap cheap lead and was still beaten but his run was good, the winner has ability and there was 2.5L back to 3rd. He can stalk the leader, get a tow around the corner peel off and be the one to run down. NOTONYA NELLY the next best. *READY SET BOOM won last night, speed out of this race so small bets the two on top. Would have been keen EVOLO here in a poor race, just a little concerned with the gap between runs and he seems to be a horse that enjoys the fortnight runs. Complete forgive in the MM and he’s going really well. Been waiting for RED PHANTOM to get out in trip, 1600-2200m here. A chance. *Not sure what to make of EVOLO, maybe market will tell the story. SANGLIER was bet $4.60 through the week and anything around that is fine by me. At acceptances I wouldn’t have thought my best would be in this race but as the race has panned out with barriers I feel he is extremely well placed. Ex Godolphin horse who was placed and unlucky at Caulfield two preps back and then should have won at Listed grade after that. Has early speed and should land in the 2nd pair here off a hot tempo. He puts his head out and I like the horse. 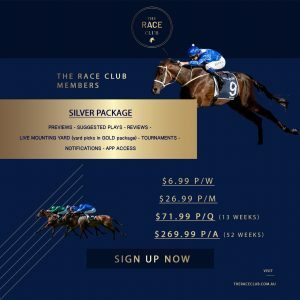 Good luck to the great crew at https://www.vivaracing.com.au/ who purchased the horse! MISHANI HUSTLER was avg in my opinion last start, they did go hard but he was just plain late and beaten a long way. Good gate and can improve sharply here. Not a race I want to get too involved in. WHYCATCHIM is always in the market and has run some good races up north but just a query on him late when they go hard. He gets the gate and every possible on this track that should suit. Some champio owners so good luck to them. I AM VENUS is the one who can stalk the speed and also get the gun run. Only a Cl2 horse but she ran in one of the best CL3 Plate races we’ve run up here and was beaten less than a length last prep. She was wide and too good fresh against Leroytheconqurer this time. MR MARBELLOUZ is the best horse in the race but has to be a query from the gate. Stewart is about the best at crossing a field but how hard does he have to go to get 2L clear of these? Haven’t really been a CURDLED fan but this sets up really well for him to run a race. Got the blinkers on last start and was a good winner, he gets a similar run in transit and just a small play ew at $6 for me. Been waiting for LANGHRO to step out, should be able to sit first three settling and the Melbourne form would just about win this so only has to run up to those efforts. If MR MARBELLOUZ doesn’t push hard early this will be the one. Let’s hope BOOMTOWN LASS can get home for myself and the rest of the owners. She is very well placed, looks to land behind the leader and box seat the whole way off a below avg tempo. Should peel off on the corner and be the one they have to catch. The field she beat at Ippy were walkers but the way she won was very good. Although LEROYTHECONQUEROR has got back in races Lloyd is just too good, he will know the map and be aggressive over the 1350m to hold the back of BOOMTOWN LASS and be 3 pairs back the fence to follow her wherever she goes and try to run over her late. I think he can and goes on top. Don’t think STAR REFLECTION is a moral but she should be winning if she’s much good. Nearly threw the race away at the GC and only beat Auerbach there before going to EF and missing the start before being ok behind Snoopy. Gets the gate to sit 5-6th and Lloyd just needs to time the run. DREAMS APLENTY comes out of much better races than this and is a tough bugger. Like A.Allen on top, not a hot tempo here by any means and he will be the horse the mare has to run down, reckon he runs a race here back to the 1350m rock hard fit. *Making them both winning results. Like LE JUGE but luck will be the deciding factor in this. He is in exceptional form and he has won from the back in walking races, this time the speed will be better and Fradd just has to find a path from gate 1, may chose to sit a pair closer. Up in grade but down 3.5kg off the last win. MISHANI BULLITT is screaming to win a race, this is a big drop in grade but rises 4kg off the good run at Listed level last start. Reckon KUBIS might be the best of the leaders and could land in the money somewhere. *Will need luck but LE JUGE runs well.